We’d love your help. 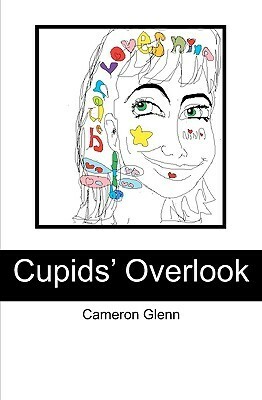 Let us know what’s wrong with this preview of Cupids' Overlook by Cameron Glenn. Cupids' Overlook is the story of how two cupids try to pair Nina and Jason together to then discover fate is out of their hands. To ask other readers questions about Cupids' Overlook, please sign up. "It tells of how two "cupids" try and find their future parents and place them together. It starts off as a bubley fun romance but then evolves into something deeper and more interesting. A great price too!" First of all, he misspelled "bubbly" and it's "try to find," not "try and find." By page three I didn't want to finish the book. I can't even tell you what this book is about since it's all over the place. The poetry "Jason" writes is awful. The grammar and language-the passive voice, all awful. Any time the cupids talk to each other there are no quotation marks, and only sometimes is it italicized. here's a direct quote-misspellings and missing words are the author's, not mine. We cherubim not yet born creatures dwelling above in the dimension of what I'll term heaven prefer the act of procreation which brings us down to earth be enacted between two who made a sacred commitment with each other and that it happen under those conditions of ways. But we also know it doesn't always happen under those conditions or ways. We don't judge, the right of judgment is reserved for only one at the finality of things, but we can prefer. Sometimes the act is done for selfish gratifications and with assumptions that nothing special, let alone sacred, beyond the personal physical pleasure offered in the nuts and bolts grind of it, be derived or taken from it. This lax attitude on it is more often adopted by males, but not always. Love isn't even required for the physical act to take place; sometimes both involved are just after the lust, wishing no further commitment beyond that goal, to reach a peak of pleasure; and sometimes not even the lust gratification is adequately appeased, or little so; some pervert it and misuse it and ruin it and take enjoyment in the debasement of it, turning sacred beauty into crass perversions; it's purpose is meant to build and create, but it can just as easily consume, tear down, erode and destroy, abused and mishandled. You know when Ace Ventura takes a huge breath in the movie before he has a huge run-on explanation? That's what this felt like, but at least Ace made sense. "One of their servers said to her, the pretty girl who makes everyone happy by wearing the pretty dress, then makes everyone sad by wearing the coat, with a Brazilian accent in a way that made them laugh."